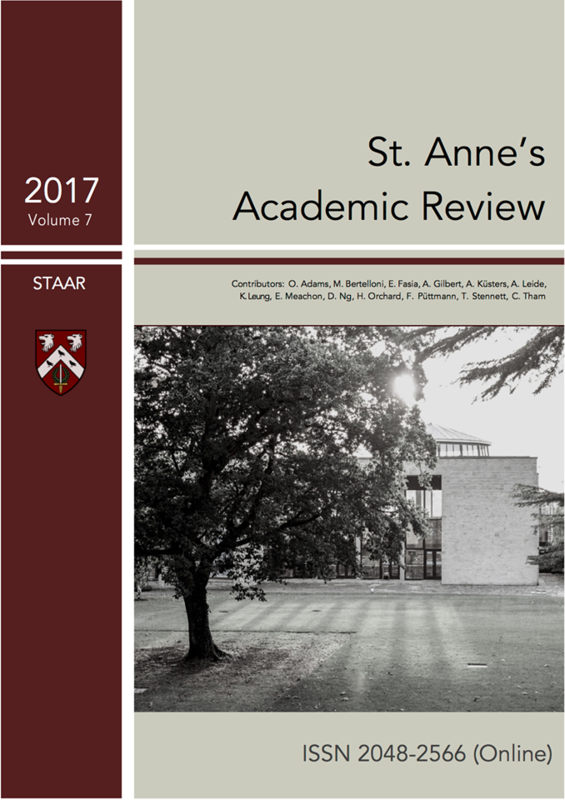 STAAR (St Anne’s Academic Review) is a graduate student run interdisciplinary journal here at St Anne’s College. We are raising £3,000 to ensure STAAR can continue and grow as a publication. By supporting STAAR you will strengthen a student-run activity, support a unique training opportunity, and encourage an interdisciplinary journal available to everyone. STAAR is an interdisciplinary journal run by St Anne’s MCR (the community of graduate students) which publishes academic work from members of the JCR, MCR and SCR on an annual basis. 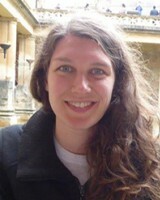 Our journal is currently run by Alex, Editor-in Chief, who is a second year DPhil student in the Department of Archaeology. She comes from a background in publishing. 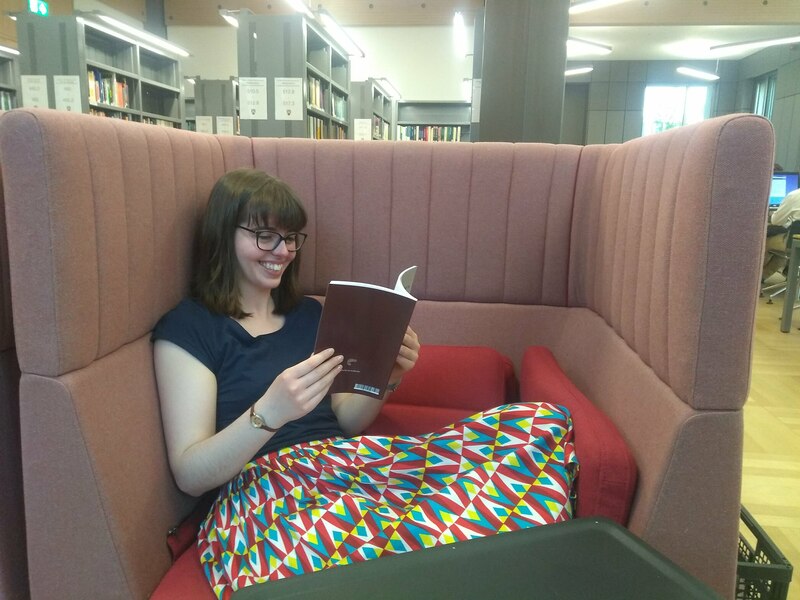 Before starting her DPhil she worked for an open access publisher and she is supported by a strong team of editors and a production manager. You can check out our website to see past issues of STAAR. We publish on a variety of subjects in the areas of science, humanities and social sciences and have recently published papers on topics as diverse as why the research into dyspraxia is so far behind ; why nuclearfusion research is taking so long and insights into when excellence kills education . By supporting STAAR you help support graduate students at St Anne’s to develop STAAR as a self-sustaining project, without burdening the MCR or College budget. Over the last year we have already started to transform STAAR into a more accessible and professional journal, through developing our website, uploading all past issues of STAAR to our new website, printing copies for all graduate freshers and listing it on the University library catalogue. To continue to help STAAR to thrive we now need your support. We want to index each article in STAAR online and print copies for everyone who wants one in college. We would also like to contribute towards the purchase of books and film/theatre tickets for review articles. Your support will help us continue to benefit the wider college community by providing to our graduate students a rare opportunity to get hands-on training in academic publishing, and to all contributors a more professional and visible platform to share their research and learn the ways of academic publishing. If we manage to raise £1,000 this will support STAAR through an academic year, giving us the ability to widen its accessibility and continue the hands-on training for our editors for a full year. If we raise £3,000 this will see us through a full 3 years (that’s a full generation of graduate students at St Anne’s). Any extra funding will mean STAAR can continue without the need for support from college or the MCR for more than the target 3 years. It would also mean we could print more copies of STAAR for anyone in college and provide more training for our editors. Throughout our campaign we will share updates of how we are progressing with raising funding and share with you articles from past issues. Do like us on Facebook or follow us on Twitter to receive regular updates about this year’s issue of STAAR. We have arranged some great rewards for donations big and small. Please see the right hand side of the page for more information. The success of our project will be seen from the contributions of donors, like you. Every donation, of any size, that we receive will help us to reach our goal. Plus, it would be great if you can help us spread the word about our crowdfunding campaign, by sharing our page as widely as you can. In fact, share it with everyone you know as we think it's a great idea, and the more people who know about it, the more likely we are to help STAAR keep running. All the above plus a subscription to STAAR for the next 3 years.